Twelve new and exciting projects across North Devon have benefited from the £25,000 pot allocated by the North Devon Coast Areas of Outstanding Natural Beauty (AONB) through their Sustainable Development Fund. Over the last 12 years, this Defra funded grant has enabled the AONB Partnership to support projects to conserve and enhance the natural beauty of the landscape and to raise awareness and engagement of local people and visitors with these nationally protected coastal areas. Successful applicants this year include Plastic Free North Devon, Prickles Hedgehog Rescue, the Hartland Peninsula Association, Ilfracombe RNLI, St Mary’s Church Mortehoe, the Koa Tree Project at Welcombe, the Old Schoolroom Craft Gallery at Lee Bay, the RSPB, North Devon Moving Image CIC, Barnstaple and Ilfracombe Museums and the Marine Conservation Society. 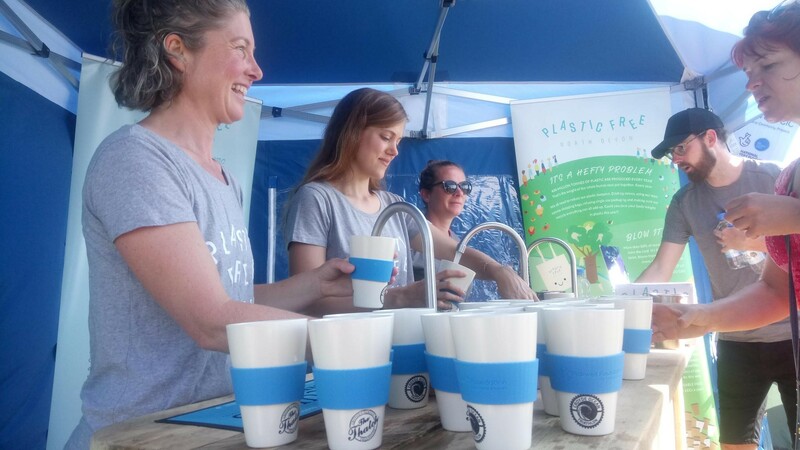 The Plastic Free North Devon group were awarded a grant towards their Mobile Water Bar which could be seen at events throughout the Summer across North Devon, allowing people to fill up their waters bottles rather than buy single use plastic bottles. Next year’s fund will open in March 2019 to local community groups, agencies and businesses to apply for grants between £100 and £4000. See https://www.northdevon-aonb.org.uk/our-work/grants for further information about the grants, the application process and the successful projects for this year. The North Devon Coast Areas of Outstanding Natural Beauty (AONB) covers 171 square kilometres (66 square miles) of mainly coastal landscape including special places such as Combe Martin, Lee Bay, Woolacombe, Croyde, Saunton, Northam Burrows Country Park, Westward Ho!’s Pebble Ridge, the Hartland Peninsula and Braunton Burrows, a UNESCO World Biosphere Reserve.